A titanium alloy is a composite material of predominantly titanium combined with several other metal components. Alloys are designed to be hybrid materials that, in slightly altering the properties of each individual component through the addition of other substances, retain and even enhance the most desirable traits of each. While pure titanium metal is lauded for its low density, extreme corrosion, heat resistance and strength, it is very hard and therefore difficult to process. Molybdenum, manganese, iron and aluminum, palladium, vanadium and tin are commonly used to improve ease of fabrication, strength at elevated temperatures and corrosion resistance of titanium. Titanium alloys retain many of the desirable attributes of titanium while allowing more flexibility in manufacturing and can be classified according to grades. Titanium steel, for example, is both lighter and more corrosion resistant than regular steel while aluminum titanium alloys are finer and stronger than either base metal. 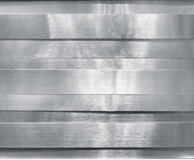 Processes such as hot or cold forming, flat rolling, extrusion, welding, machining, casting, forging and spinning are used individually or in conjunction with other techniques to transform alloys into final products. This allows for the use of titanium alloys in a number of industries including military, aquarium, automotive, aerospace, desalinization, shipping, power generation, electronic and even jewelry manufacturing. The assortment of processes and industries reflects the wide range of titanium alloy products available. Diverse items such as bicycles, plastics, exhaust systems, valve springs, paint, jet engines, missiles and even spacecrafts are made with titanium alloy components. Most often, alloys are made using a melted or powdered form of titanium to which other metallic powders are added in precise amounts before being melted together to form the metal solid. The solution is then pressed or cast into stock mold shapes. Titanium bars, rods, tubing, plates, profiles, sheets, strips, shims, foil, wire and slabs name just a few possible constructions of titanium that are purchased by manufacturers and processed as needed to create a final product. Stock shapes allow for ease of transportation, shipping and warehouse management. While shapes and dimensions are taken into consideration, the titanium grade is the most important factor in selecting the proper alloy. The grade is a regulated measurement of the qualities of pure and alloyed titanium, and is determined according to the application for which the titanium alloy will be used. While grades one through five are unalloyed, six through thirty-eight contain ratios of other elements. The most common titanium alloy is grade five, also known as Titanium 6AL-4V. Grade five is 90% titanium, six percent aluminum and four percent vanadium. Alpha titanium, alpha beta titanium and beta titanium are structural based groupings that can further clarify the properties of a specific alloy. Titanium Alloys A titanium alloy is a composite material of predominantly titanium combined with several other metal components.